Everyone knows when it comes to moving, you need essential items such boxes and packing supplies — but what about the so-called “forgotten moving essentials” — items that are necessary, but are seldom thought about? Below we’ll point out some truly important — and often overlooked — items that you should have with you when you move into your new home. Cleaning supplies: Moving into a new home can be messy, and the last thing you want to do is to settle into a dirty home and have to go shopping for cleaning supplies. Make sure you pack cleaning supplies before you move: cleaning spray, antiseptic wipes, sponges, dishwasher and laundry soap, etc. Cords and chargers: Make sure to pack all necessary phone and electronic chargers for all your devices. There’s nothing worse than having a phone with no charge when you need to make an important phone call! Batteries: As with cords and chargers listed above, batteries are essential for keeping electronic devices such as kids’ games and clocks running. Make sure to pack a wide assortment so you are fully prepared. Basic tool kit: This is a must when moving into your new home. Screwdrivers, ratchets, hammers and pliers are essential for fixing leaky pipes, assembling furniture, or hanging artwork. You don’t want to be stuck in your new home without an easily accessible tool kit. Plastic bags: Plastic bags are essential for storing small items such as zip ties, rubber bands, loose change etc. Make sure to have a few boxes on hand before you move. Toilet paper We don’t need to say how uncomfortable things could get if you don’t have toilet available for when you move in. Do not forget it! 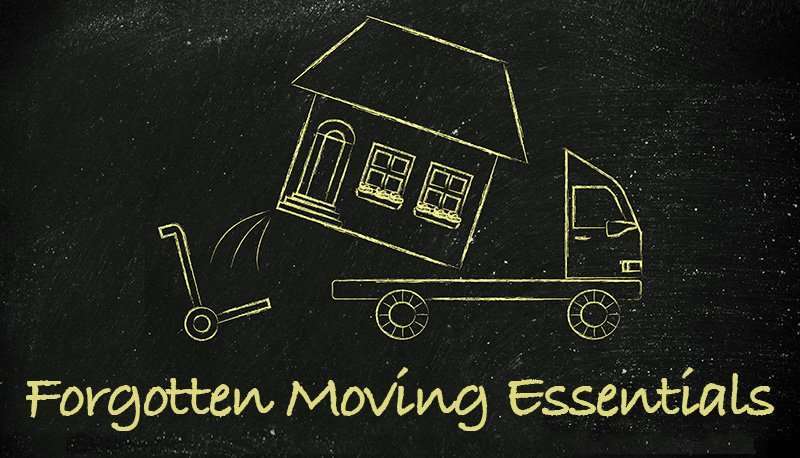 We hope this list of forgotten moving essentials will help make your move a little bit easier. If you have any suggestions, please feel free to share them with us in the form below! For more great moving tips, read here. Verity Van Lines is the premier Long Island moving company with over 100 years of experience in both local and long distance moves. We also offer a full range of storage options and packing supplies. We are a proud member of the Long Island Moving and Storage Association.